In just two months' time I'll be moving up to San Francisco to become a Senior Editor at Dwell magazine. [Images: The most recent five covers from Dwell magazine]. The job itself looks awesome – and a lot of fun – and it's in a great office, near the Transamerica Pyramid, only one block away from an architecture bookstore, and I'll have some really cool co-workers, and a great boss with good taste in German beer, and I'll even be near my publisher during the book design process, so I'm excited. I can go for walks in the Muir Woods! And look at the Golden Gate Bridge and walk across the hulls of abandoned 19th-century frigates. 1) BLDGBLOG will continue – in fact, I'm using the entirety of this week to finish up all other freelance commitments, leaving just BLDGBLOG, the BLDGBLOG book, and Dwell. So BLDGBLOG isn't going anywhere. 2) This doesn't mean that Dwell will suddenly turn into BLDGBLOG, or vice versa. Dwell, as far as I'm aware, won't be covering, say, J.G. Ballard and the apocalypse, or gold star hurricanes, or statue disease, or the novels of Rupert Thomson (although they might start covering Mars bungalows – who knows – and the speculative urban futures of global climate change...). But those stories will continue to appear here on BLDGBLOG. 4) This also doesn't mean that Dwell endorses everything – or anything – that I have to say here on the blog; so if I get something wrong, or if I say something stupid... it's my fault alone. 5) Nervousness aside, I'm incredibly excited about the editorial directions all of this could go in, and I can't wait to start. I've already got a long list of (sometimes absurd) things that I'd like to cover at Dwell, and I really think this is going to be a good time. [Images: Five more covers from Dwell]. Anyway, it's strange to think that I'm leaving Los Angeles! I thought I'd be living here for at least the next 9 or 10 years, growing cancerous and leathery in the sunlight, throwing events about science fiction and the city, so there are loads – and loads – of things that I've been meaning to do here that I'll now just have to squeeze into less than eight weeks. The desert! Joshua Tree! Zion National Park! Arizona! The Center for Land Use Interpretation! Baja California! SCI-Arc! The Hollywood Hills! Hell, I'll even miss the ArcLight. Anyway, I'll be in San Francisco starting September 1st or thereabout. And, if you're in the market for something to read, consider subscribing to Dwell. congrats Geoff: this is GREAT news!! Hey! I'm coming with you! Geoff, never fear, you can still turn cancerous and leathery even in the Bay area! Congratulations on your imminent move to SF. And I know you'll do your best to find the post-Ballardian and pre-apocalptic right here in your own new backyard. David, I'll be too busy spelunking through the underground lost ships of coastal San Francisco, writing gonzo journalistic accounts of subterranean harbor space... and bugging you to meet up for a cup of coffee. It'll be nice to be neighbors! Congratulations. Looks like Dwell is about to become a must-read. PS: I'm glad you're coming with me, Nicky! this is a great fit! I enjoy Dwell almost as much as I enjoy your blog. excellent news! While I know that you will miss L.A., I would like to take this opportunity to give you some impetus towards enjoying the Bay Area. Let's start with Drawbridge and then move on to Stairway Walks of San Francisco, follow that with the Oakland 5th Avenue Peninsula Tour and the margins of the bay. There's Tepco Beach in El Cerrito, the Exploratorium's wave organ, and the newly reclaimed Chrissy Field. A short ferry ride gets you to the quarantine hospital, Civil War embattlements, and Chinese immigration station of Angel Island. If you are willing to drive south, I would be glad to give you a Santa Cruz Super-Secret Staircase Tour. The Lick Observatory on Mt. Hamilton, the major reuse project of Fort Ord, and the condors and caves of Pinnacles National Monument are all nice day-trips from San Francisco. Welcome to the Bay Area. I hope you enjoy the weirdness that abounds here. congratulations Geoff, and best of luck! Congrats, Geoff! San Francisco is awesome. Plus you'll be getting there right as their "summer" starts. Thats great. Congrats. I started reading your blog about a month ago because of all the original content. Dwell...I started reading about a half a year ago. The awesome cover design caught my eye one day and I pick it up in the book store every now and then. Congratulations, my friend! REBAR had plans to develop a project around the sunken galleons, a year or two back. Perhaps a collaboration is in the offing? Give a shout when you get here - we'll buy you a pint or three. I generally just read the feed, but felt compelled to wish my congratulations and offer my thanks for a great blog. 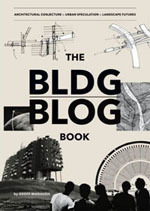 I read bldgblog every day. 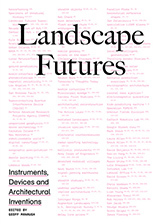 I'm a student of landscape architecture. I'm totally stoked you're coming to SF. I'll renew my subscription to Dwell. Geoff- now I know who to reach out to when I have an article I'd to get publish. congrats - you'll be great! beyond the buried ships, there is a who archeology of secret rooms in china town, ghosts in alcatraz, salt works in the bay, and chinese poetry etched into buildings... and you're closer to skywalker ranch (much cooler then sony pictures/mgm). Jeff, you will LOVE spending your lunch hour browsing through the selection at William Stout Books. Good Luck. Congratulations. That is great news, for you and for Dwell. My wife Claudia and I am building Dwell Home 2 with the magazine, and absolutely love their outlook on life and architecture. We will have to do lunch with Michela when you get situated. I spend about half my time in SF and the other in LA. Kudos, congrats and best of luck with the move and Dwell. BLDGBLOG has become one of my ab-fab fave reads over the course of only a few months. You, sir, rank up there with the stars. If you have some sort of send-off party, I hope that it is somewhere public so that I might shake your hand before you leave the sprawl for SF's more pacific clime. In any case, take care and be well. wow, congratulations. maybe you can explain the peace dividendic awesomeness that is the Marine Headlands sometime. Not a lot of architecture, but the idea of military control leaving vast tracts of land [sic] undeveloped next to a major city seems surreal to me. Plus, there's the one lane tunnel entrance, it's like Miyazaki's Spirited Away. oh, and good call on the bookstore. I'm with Greg on the "peace dividendic awesomeness" (excellent phrase) of the Marin Headlands. Abandoned bunkers! Who does NOT love abandoned bunkers? There is also the Presidio, of course. And the repurposing of Treasure Island. And the Mare Island Naval Shipyard. All chock full 'o peace dividendic awesomeness, in their own ways. Moody, if some kind of leaving L.A. bash does come around, I'll be sure to let everyone know - but I do genuinely hope that I'll be spending more time down here in the future, as I really don't want to leave. But a going away party sounds like a blast. Or at least a going away pub night - which is probably more realistic. We can drink an endangered landscape. Matt P. - definitely! Let's do something with those ships! Who knows what - but they're an amazing resource just waiting to be exploited. So let's do it. Map them, or find them, or free them - I love it. We'll unlock them from the earth's surface and sail to Hawaii. Reading Coleridge. Glen, great to hear you're the one doing the second Dwell home; I'd love to meet. I'm in L.A. through August, then San Fran; and I'm at bldgblog *at* gmail, if you want to get in touch. Congratulations from these here parts too, Geoff! You'll be great. I was about to let my Dwell subscription expire... felt it was not giving me much. After reading just the title of the post i will gladly keep Dwell coming! geoff, i used to work a block away from the Dwell offices. that was back in 2003 before moving down here to LA. YOU WILL LOVE SAN FRANCISCO!!!!! and you'll be very close to the infamous Hunan restaurant... i know it sounds gross, but you must go there and order a "Diana's Meat Pie" ...so yummy! congratulations... i'm jealous now. I only know you from sitting out in the audience at Postopolis, but I am so excited for your new pursuit. Even cooler that one can go from blogger to editor! congrats geoff-- i know we have only met virtually but i wish you the best. only wish i had gotten to meet you in person while you were still in LA! Good luck...maybe i'll meet you at the pub...i will definitely renew my dwell subscription! This makes me much more likely to subscribe to dwell. I can't believe you're leaving LA already! Congratulations! 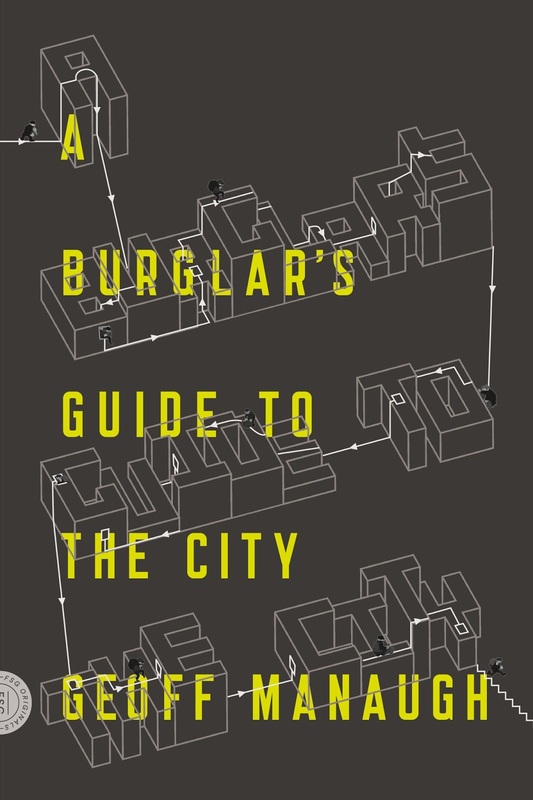 BLDGBLOG is my favorite piece of the internet, and it's great to see its author do so well. Congrats on the Dwell gig! I can't wait to run into you at MUNI; I will certainly make a scene. looking forward to see the energy and point of view you will bring to the magazine. Incredible news. Like many of the other commenters, I think I will be more likely to get the subscription now, as opposed to perusing the occasional copy in the bookstore. Thanks again for all your notes! Meara, if the pub thing happens it'd be great to meet; I'll put up a post if there's some kind of plan - but it wouldn't be before mid to late August. And, John C, I'll be in touch - sorry to be Mr. Silencio. Busy times! Finally, if you've got a moment, everybody should check out the new post by Walter Murch and Michelangelo Antonioni - I'm really excuted to have this on BLDGBLOG: New York City in Sound. William Stout! A terrific store. I lived in SF for 13 years, in addition to going to high school there and growing up in the area. I like LA better at this point (better restaurants, later hours, more stuff to do), but SF has lots of interesting stuff as well...and it's beautiful, of course. I suspect you'll want to spend lots of time in the Marin Headlands...a veritable omphalos for bunker archaeology. Then there's the former gravity railroad on Mount Tam, faint traces of which still remain. And Lassen Park is...well, not close, but closer than it is to LA. Maybe you can get into one of those cylindrical offshore guardposts near the Golden Gate...I've always wondered what they were like inside. Geoff, this is WONDERFUL news. Congratulations! Congratulations! That's fantastic news for you, but it is certainly L.A.'s loss. There really needs to be BLDGBLOG the Movie: the story of a skinny blog with a funny name that lived the American Dream. This is Monica from Lifeform. Congratulations on your new position, and for encouraging great design. I wish you all the best ! Fantastic news! I'm big fans of both Dwell and your blog. Congrats. What great news. I am a daily reader of your blog AND a subscriber to Dwell. Seems like a perfect match to me (though I think Dwell can be a LITTLE stuffy at times... maybe you can work on that). Congratulations and I look forward to seeing your name on the masthead! I'll keep my eyes peeled... And thanks for the heads up about benefits, etc. Cool news about the film. And I'll wear a flak jacket to work. Sorry - after thinking about this for a while, I've decided to delete the two comments to which my own previous two comments were a response. The now-erased comments mentioned some people by name, and it just seemed inappropriate for that to be hosted here in a public forum. So: I apologize to the commenter, but I wasn't comfortable letting those stay. Thanks for your thoughts, though! No worries, Geoff. I completely understand. Sorry. Excellent! Best of luck with the transition.